Do you know where a product you usually consume has been produced? Within the EU borders, you usually do. According to European legislation, the origin of many products has to be specified. But… what about the products with the label “Made in Israel”? That is a much more complicated issue, for these may have been manufactured in Tel Aviv, in Hebron, or in the Israeli Settlement of Ariel. European regulation lay down for which products it is required (notably fresh fruit and vegetables and a few other food products such as honey, olive oil and wine, as well as cosmetics) and for which it is not. Moreover, labelling is the responsibility of the merchant and not the producer. And merchants are often unaware of the issue of the settlements, as a result of which they fail to label these products correctly. This is going to change. After months of procrastination, several EU Foreign Ministers have asked the HR Catherine Ashton to move forward with plans whereby consumer goods produced in Israeli settlements (including those in the Golan Heights) will have to present a special type of labeling distinguishing them from the rest of the products manufactured in Israel. So far, the Governments of the United Kingdom and the Netherlands (despite its being considered by Israel as one of its closest friends in Europe) were the only ones to have taken the unilateral decision of requiring goods made in settlements to make a reference to its exact origin. Even though the final aim would be to prohibit the sale of goods produced in the occupied territories, only those falsely labelled will be removed. The final decision will thus fall into the EU consumers’ hands, many of them not aware of the fact that every year the settlers export some €250 millions worth of goods to Europe, whereas the Palestinians export just €15 millions worth of products. 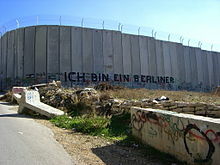 The decision will surely represent a major blow to bilateral trade, as according to the 1995 EU-Israel Association Agreement, products made in the occupied territories should not benefit from lower tariffs (it should be mentioned that the Israeli Finance Ministry compensates the exporters for the extra cost, though). With this measure, the EU ministers seek to distinguish Israeli products manufactured within the borders established after the 1967 war (what we usually call the Green Line) of those who are made in Jewish settlements in Palestinian territory. This may seem like a small step for Palestine, but it is a huge leap for the EU and its foreign policy, for the EU finally has a clear position on settlement activity in the occupied territories. This move will undoubtedly put Europe on a confrontation course with Israel, but it seems the only current alternative, as the main issue blocking the resumption of any kind of peace talk is settlement policies. This may be the only way to remind Israel of the illegality of colonisation, stressing at the same time that human rights and democracy are pillars of the EU integration process.